Most people who have been working professionally for nearly 40 years have had a number of desk chairs, especially as technology has advanced and the office has become more ergonomically correct. Dr. Matthew Sadof has had exactly … one. That’s the school’s motto, but far more importantly, it’s Sadof’s approach to life and also his life’s work, as will be made clear as we explain why he is the Healthcare Hero in the Community Health category. The Heroes award is only the latest of many to be bestowed upon Sadof, a pediatrician at Baystate Children’s Hospital, whose chair resides in a small office at the Baystate High Street Health Clinic, in the middle of one of Springfield’s poorest neighborhoods, as it has for the past 20 years. This office is, by his own admission, not at all asthma-healthy, with its carpeting, drop ceiling, and somewhat poor ventilation. Which is ironic, because he is perhaps best known for helping to lead an all-out battle against asthma in a city consistently ranked among the worst in the nation for asthma health. His leadership role in the Community Asthma Coalition and related initiatives has dramatically improved the environment across Springfield and reduced hospitalizations dramatically, but he would be the first to note that, with the city’s poor housing stock, there is considerable work still to do. However, there is more to Sadof’s story than helping children and families breathe easier, literally and figuratively. He has also been a passionate advocate for the underserved and the marginalized, working with medically fragile and technology-dependent children and their parents, who are often overwhelmed by their medical needs. Meanwhile, he has worked to address the social and medical difficulties faced by adolescents in Springfield, patients who often fall through the cracks as they age out of pediatrics and fail to connect with an adult-medicine provider. As he sat down to talk with BusinessWest to talk about the many facets of his work — yes, in that chair from NYU — Sadof made it clear that, while he is honored to be named a Healthcare Hero, he stressed that whatever progress has been made in terms of making Springfield a healthier community has been a team effort, not the work of one man. Still, Sadof has established himself as a clear leader in these efforts and a role model for the medical students and residents he teaches. Dr. Laura Koenings, vice chair of the Education Department of Pediatrics at Baystate Children’s Hospital, who nominated Sadof for the Healthcare Heroes award, may have summed up his devotion to community — and his approach to achieving progress — best. Sadof continues to do all these things, and that explains why he’s a true Healthcare Hero. Sadof said it wasn’t long after he arrived at the High Street Clinic that he began to realize the full extent of the asthma problem in Springfield. “My very first week, there was a kid who came in who had really, really, really bad asthma,” he recalled. “So bad that I had to go on the ambulance and transport him to ICU. He needed a breathing machine — he needed to be intubated — and while I was there, I looked at his mother, and I couldn’t help but notice that she had a Band-Aid on her arm and a hospital bracelet on her wrist. Thus began what might be called a crusade against asthma, as well as a pattern of not only treating patients but asking them where they live. And not only asking them where they live, but taking steps to do something about where they live and removing some of those triggers for asthma. Before getting into more detail about his efforts to combat asthma and the many other aspects of his work, it’s necessary to explain how Sadof arrived at the High Street Clinic. Our story starts back at medical school, where, by this third year, Sadof realized he wanted to spend his career working with young people. He practiced in Pittsfield for 10 years, doing general pediatrics, before he and his family relocated to Philadelphia to “try something new,” as he put it. Things didn’t exactly work out there as he hoped, so the family decided to return to what they considered home. A former colleague was working at the High Street Clinic at the time. Sadof asked her what the lay of the land was, and she mentioned that the clinic was looking for someone. And, long story short, Sadof became that someone. “Something about this place just felt really good,” he told BusinessWest, noting that, 20 years later, he still feels the same way. Finding answers to some of Springfield’s most vexing health problems has been Sadof’s M.O. since arriving on High Street, and, as noted, asthma soon become one of his top priorities. But to address it, he knew the city needed to bring together a number of players to form a solid, united front against the disease. And it really started with that visit his first week on the job. Within a year after arriving at High Street, Sadof became the medical director of the clinic, and around that same time, he was approached by a grant writer from what was then Partners for a Healthier Community (now the Public Health Institute of Western Mass.) to apply to be part of the National Collaborative Inner-city Asthma Study. 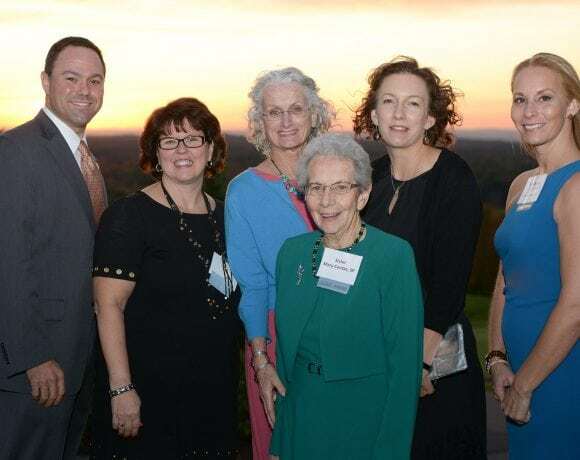 In 2001, the Pioneer Valley Asthma Coalition was formed, and Sadof, who started in what he called an observer role, became its chair in 2004. In 2009, he help forged a partnership with Boston University whereby a stimulus grant from the national Institute of Environmental Health was secured to create something called the READY (Reducing and Eliminating Asthma Disparity in Youth) program. But while Sadof is perhaps best known for his work to combat asthma, there are many other aspects to his practice, all of which relate directly to what’s written on the back of his chair. Indeed, while recognizing a real problem with asthma, Sadof said he also quickly realized there was a large number of children with severe disabilities and families struggling to care for them. And he’s continuously looking for new and innovative ways to meet the many needs of both these children and their families. “I have lots of children who are technologically dependent,” he explained. “These are children who are on ventilators at home, they have feeding tubes, they often require 24-hour care … they and their families require services, and they need help. “From listening to these kids, I was always trying to figure out a better way to do things,” he went on, adding that he was approached in 2012 by officials at Boston University Medical School with the goal of developing a grant to help improve complex care. Baystate and BU were eventually awarded a $6 million grant ($1 million each over three years) to develop something called the 4C program. 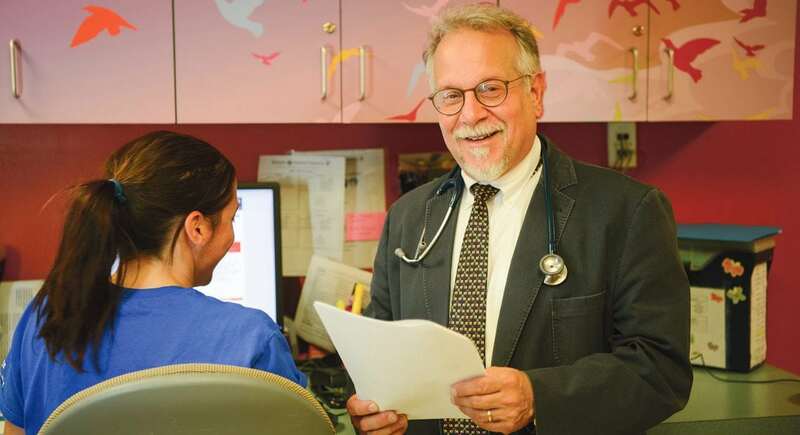 That’s an acronym for Collaborative Consultative Care Coordination program, which was created to help parents and pediatricians coordinate care for the most medically complex children in Western Mass. Each word in that acronym is important, and collectively they explain what it is and how it works. “We developed a couple of teams, with myself as the complex-care doctor, where we brought people in, took in all their data, and put it into a cloud-based care plan,” he explained. “These care plans lived on their phones, and they were accessible by any kind of electronic device and were accessible by their primary-care doctor and by the hospital and the families. The consultative-care program created for each family consisted of a nurse care coordinator, a social worker, a so-called ‘family navigator,’ a nutritionist, and a psychologist, he went on. He used the past tense because the grant funding ended at the close of 2017. The plan is to find a way to restore and continue the initiative through the new accountable-care program being created. 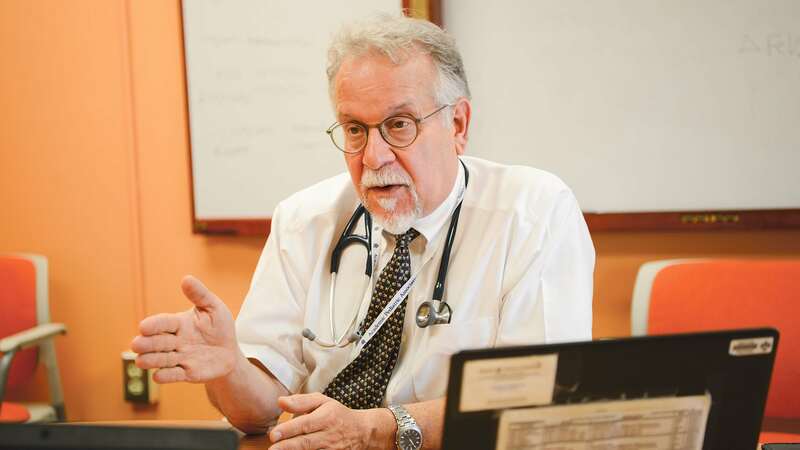 Meanwhile, Sadof continues to care for children with complex needs, mostly without the same comprehensive teams made possible by the 4C program, and the number of patients in that category has swelled in the wake of Hurricane Maria, which devastated Puerto Rico almost exactly a year ago. There’s that phrase again. Sadof uses if often, and it speaks to the passion he brings to his work, which, by and large, involves a poor, very challenged constituency, and many of the sickest children in this region — and beyond it. To explain that passion, Sadof related the story of his father, who had tuberculosis.